George Fox University’s School of Physical Therapy presents the third annual event designed to impact Newberg and surrounding communities through nutrition, exercise and behavioral health classes. All classes are free and open to the public. Events are scheduled at George Fox University’s Roberts Center, located at 501 N. Villa Road, in Newberg. Each day will be dedicated to a different aspect of health and wellness. Learn about heart-healthy foods, calorie budgeting, how to read food labels, strategies on maintaining or getting to a healthy weight, and how to cook healthy meals. Participants will receive a folder with educational handouts that include healthy recipes and hands-on training through an active cooking session on site. Come and share a meal with us. Spine/Back Care Class, 6 p.m.
Nearly 80 percent of the population will experience back pain in their lifetime, as pain is often provoked with various postures and movements. This class will focus on both acute and chronic low-back pain as well as providing state-of-the-art innovative strategies for maintaining a healthy back. Participants will experience moving better with less pain. Behavioral Health Class, 6 p.m. Learn simple and effective coping techniques to juggle the demands of life. This class will focus on incorporating various exercises into a manageable lifelong habit. Several different classes will beheld concurrently and will be appropriate for all ages and abilities, covering topics such as balance, strengthening, aerobics, high intensity interval training, and yoga. This event provides a fun and safe space for kids with special needs to swim, play and be well. Come join us for a fun pool party where kids can have support from physical therapy faculty and students. Learn about heart-healthy foods, calorie budgeting, how to read food labels, strategies on maintaining or getting to a healthy weight, and how to cook healthy meals. A live cooking demonstration will be included. This class will focus on both acute and chronic lowback pain and will provide state-of-the-art innovative strategies for maintaining a healthy back. Participants will experience moving better with less pain. Are you ready to develop healthy habits? Learn about behavioral changes you can make to improve your quality of life. Plus, get tips on parenting the “tween” years and find out how stress impacts your body. This class will focus on incorporating various exercises into a manageable lifelong habit. Classes will cover topics such as balance, strengthening, aerobics and yoga. This is a semi-annual event that provides a fun and safe space for kids of all abilities to enjoy time in the water with support from physical therapy students. Come join us for a pool party where your kids can swim, play and be well! Why a Health and Wellness Week? 62.2 percent of the county’s adult population was considered either “overweight” or “obese” in 2016. 7.5 percent of our population is coping with diabetes. Heart disease (19 percent) is the second-leading cause of death in the county, and many in our community struggle with high blood pressure. Here’s the good news: Many of these health challenges are preventable and can be reversed. 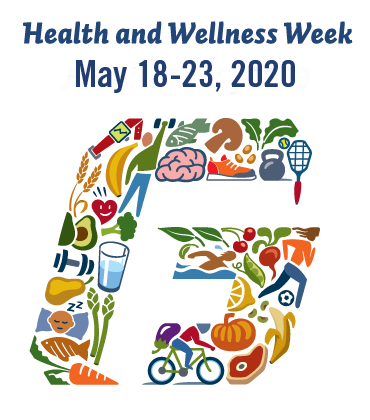 George Fox University’s Health and Wellness Week is a tangible way to assist community members in their pursuit of healthy living. Let’s see if we can make a positive change in the health and wellness of Newberg. For more information on the event, contact Tyler Cuddeford at tcuddeford@georgefox.edu.